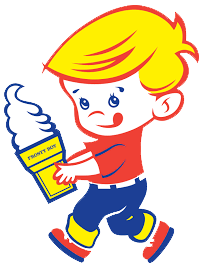 Thank you for visiting the website of Frosty Boy Ice Cream, Pizza, Subs and More. You'll love the delicious food we serve at our fresh local restaurant in Kalamazoo, MI. We're open daily for lunch, dinner and dessert. We make all of our pizza dough fresh each morning and only use the best ingredients available on everything from subs to burgers. Call us at 269-345-5360 now to learn about our newly updated menu. Please use the form on this page to email us.